Nightshade free chili will be redder than traditional Texas Chili. Those of us who have to deal with nightshade allergies know that tomatoes are a big no-no (they give me rashes and blisters) and chili peppers can be deadly. Now, I am a Texas girl, born and bred, so I cannot adequately express my grief at developing nightshade allergies --I was weaned on jalepenos and ate pico de gallo for breakfast everyday for more than a year. 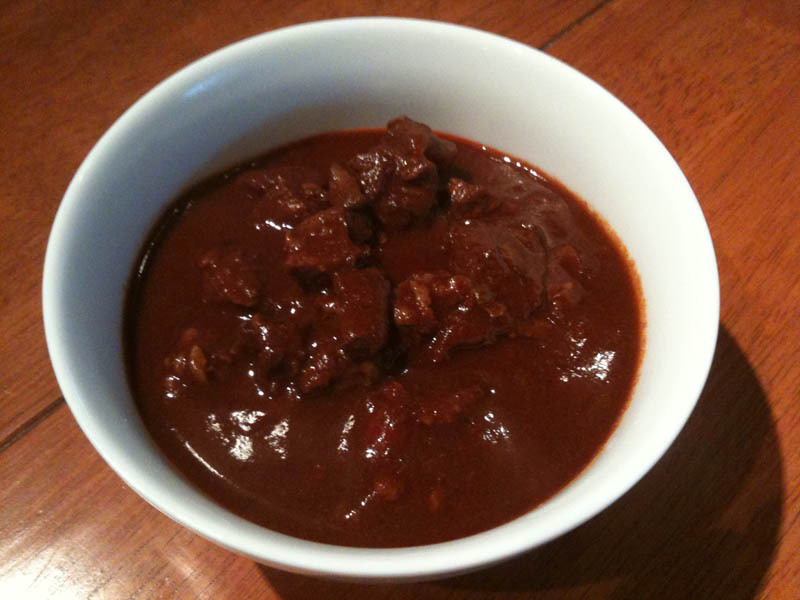 Even though I miss my jalapeno jelly and pico for breakfast, one thing I don't have to miss is my Texas Chili. Now, don't turn your nose up until you've tried it. I actually made this for my hubby (also a Texan) and he didn't realize it wasn't "real" chili until I told him. Now's the fun part. Unless you have a super size blender you'll need to do one can at a time. Puree the beets until the beets are completely liquid. They will resemble tomato paste. Pour the beet puree into the stock pot over the cooked meat. Using a beet can, add 3 cans of water. Stir. Add 1/4 cup cumin. It sounds like a lot, but remember this chili has NO chili powder. Cumin gives it the flavor without the nightshades. Add more salt, pepper and garlic to taste. If the flavor isn't strong enough add more cumin, to cut the cumin's intensity add more salt. *I have used this chili to make enchiladas, and they were great! What do you use for tomatoes in your nightshade free recipes?